The author of this study (Grigory Olekh) analyzes the broad set of internal and external factors that shape the development of Novosibirsks international relations. He gives a thorough account on the regions relations with the federal center, the political-legal base on which the regions foreign policy is formulated, and looks at the various actors and institutions engaged in international relations. The author weighs the advantages and disadvantages of the regions engagement in international economic processes and pays special attention to opportunities and problems resulting from Novosibirsks situation on the border with Kazakhstan. Novosibirsk, which was designed as a center for hi-tech production and defense industry during the Soviet regime, went through a difficult period of deprivation and marginalization as Moscows assistance to this region declined sharply at the beginning of the 1990s. In order to compensate for the lack of federal help, the regional elites were compelled to expand their foreign economic relations and find ways and means to adjust the regional production to the needs of the global market. Typically, the federal center seems to experience more difficulties using its institutions in remote regions to influence regional activities with an international impact and to bring regional policies into line with national priorities. Novosibirsk Oblast also displays the whole set of security related problems common to many border regions. Illegal migration, smuggling, and violations of customs regulations are security challenges that figure largely on the local political agenda. Novosibirsk Oblast is located in the south of the West Siberian plain and borders Omsk, Tomsk and Kemerovo oblasts as well as Altai Krai and Kazakhstan. The region is fairly rich in mineral resources; metallurgy and metal processing are the major regional industries. One important pillar of the regional economy is the defense industry, which is undergoing a difficult transition to civilian production. Novosibirsk is famous for its scientific research facilities. Over one hundred research institutes specializing in almost all disciplines are concentrated in and around the city. Novosibirsk has been a comparatively attractive place for foreign investors coming mainly from Western countries, primarily France, Germany, Japan, and the United States. The case study on Novosibirsk Oblast is presented by Professor Grigory Olekh, Head of the Department of History and Politics at Novosibirsk State Academy of Water Transport. The author analyzes the broad set of internal and external factors that have shaped the development of the regions international relations during the 1990s. He gives a thorough account of the regions relations with the federal center, the political-legal base on which regional foreign policy is formulated and looks at the various actors and institutions engaged in international relations. The author weighs the advantages and disadvantages of the regions engagement in international economic processes and pays special attention to the opportunities and problems resulting from its situation on the border with Kazakhstan. The political and economic development of Novosibirsk Oblast shows characteristics typical of many industrial regions far away from Moscow. Regions like Novosibirsk, which in Soviet regime were designed as technological hubs, went through a difficult period of deprivation and marginalization as Moscows assistance to these regions declined sharply at the beginning of the 1990s. In order to compensate for the lack of federal aid, the regional elites were compelled to expand their foreign economic relations and find ways and means to adjust the regional production (especially in the hi-tech sector) to the needs of the global market. It is characteristic of regions remote from Moscow that the federal center seems to have more difficulties making effective use of federal institutions in the region to influence the regions activities in the international arena and bring regional policies into line with national priorities. Novosibirsk Oblast also shows the whole plethora of security related problems common to many border regions. Illegal migration, smuggling, and violation of customs regulations are security challenges that figure largely on the local political agenda. Some traits distinguish Novosibirsk Oblasts foreign relations from those of other Russian regions. It is interesting to see that the CIS countries are generally the more important trading partners for Novosibirsk Oblast than Western countries. It is also noteworthy that Ukraineand not neighboring Kazakhstanis the predominant trading partner. This is the ninth in a series of working papers written in the context of the project Regionalization of Russian Foreign and Security Policy: Interaction between Regional Processes and the Interest of the Central State, funded by the Swiss Federal Institute of Technology (ETH) Zurich. All of the studies in this series are available in full-text format at http://www.fsk.ethz.ch. The objective of this research is to examine the major prerequisites, incentives, directions and results of the international activities of Novosibirsk Oblast (further referred to as NSO) in the second half of the 1990s (including the year 2000). The significance of this study is determined by the need to better understand the realities of modern Russian federalism, the motivation and nature of the relations between the center and the regions, the contradictions of regional development, the need for more accurate prognoses regarding the probability of Russias disintegration and the chances for successful integration into the international economic and political order at the turn of the 21st century. NSO has been selected as a research subject mainly due to the fact that this Siberian region can be tentatively considered representative in terms of the majority of its qualitative and quantitative parameters. This means that its territories are not very rich in natural resources, it has no ethnic specificity or proximity to any armed conflicts. The oblasts mediocrity facilitates the identification of typical features and makes it easier to achieve research results that also hold true for similar regions of the Russian Federation (RF). To describe the oblast as average does not, however, imply that its specific features and peculiarities can be ignored. NSO is one of 89 members of the Russian Federation (RF). It is located in the south-eastern part of the West Siberian Plain between the rivers Ob and Irtysh. To the south, it borders Altai Krai and the Republic of Kazakhstan; to the west, Omsk Oblast; to the north, Tomsk Oblast; and to the east, Kemerovo Oblast. The territory of NSO is 178200 sq. km (1.1% of the RF territory) and hadaccording to figures of 1998a population of 2,751,700 people (1.9% of the population of the Russian Federation). Although the oblast is not at present a producer or extractor of industrial raw materials, the following natural resources are of importance for the very near future: oil fields (explored reserves: 43 million tons; expected reserves: 113 million tons), and anthracite fields (explored reserves: 905 million tons; expected reserves: about 5.6 billion tons). NSO has about 6 tons of recoverable gold reserves; 193 kg of gold were mined in 1997. Four marble fields were discovered with reserves of over 8.5 million cubic meters; two of them consist of highly ornamental marble types, which are in great demand. One field of cement raw material was explored with 138 million tons of limestone reserves. There are great resources of subterranean fresh, thermal and mineral water. Over half a million cubic meters of water are extracted daily from 9500 wells; 652 peat fields were struck with expected resources of more than 7.2 billion tons. Some of the peat grades are used in medicine and in the chemical industry. The oblast is rich in sands, refractory and fireproof clays, and sapropel. Recently, a large deposit of non-ferrous metals (titanium and zirconium) was discovered. This is of particular importance for Russia because all the available mineral raw-material resources for these metals were outside Russia after the break-up of USSR. The development of these natural resources, however, faces some financial difficulties. Machine building is a leading industry in the region, including supplies for the defense industry, the power industry, food production, non-ferrous metallurgy, chemistry and petrochemistry. Among the industries prevailing in the mechanical engineering complex are: the electrical industry, aircraft construction, instrument production, and the manufacturing of machine tools and agricultural equipment. In future, the agricultural industry will have an opportunity to develop animal husbandry; grain production only makes sense in meeting the regions own needs. The agricultural business potential of the oblast is supplemented by medicinal herbs that may serve as a basis for the perfume, cosmetics and pharmaceutical industries. The gross regional product (GRP) in 1997 amounted to 39072.6 billion rubles (1.2% of the Russian Federation GNP), and in 1998 the GRP per was 11.9 million rubles (66.1% of the GRP per capita in the Russian Federation) . According to the rating of the Russian regions financial stability prepared by the Center of Economic Analysis (CEA) of Interfax agency and the National Rating Agency with the assistance of the Russians Funds company, NSO is among the 13 most financially stable Russian regions which were given the maximum A rating. Among these are the metropolitan cities, Moscow and St Petersburg, the Moscow and Leningrad oblasts, the Khanty-Mansi Autonomous Okrug (the biggest oil-producing region of the country), as well as regions with substantial economic potential and budgetary independence (such as the Sverdlovsk, Samara and Perm oblasts and the Krasnodar Krai). These regions all have good financial balances, and their income indices are above the average Russian level. The share of federal subsidies in the local budgets remains insignificant. Moreover, the economies of these regions proved to be the most stable during the 1998 crisis. Although the majority of these regions are considerably below the city of Moscow in terms of basic indices, experts estimate that their relative indices are often better than the capitals. The economic and financial history of these members of the Federation demonstrate that they may sometimes be more resistant to crisis than the capital . Novosibirsk is the administrative center of the oblast. Considering its population (about 1.5 million people), it is the third-largest city in the country, and a big junction of rail and water, road and aircraft, freight and passenger transport. The citys scientific and educational potential is highly significant. As far as the share of the scientific fixed assets as a percentage of the total amount of fixed assets (7.8%) is concerned, Novosibirsk is ahead of Moscow and St Petersburg and takes the lead in the Commonwealth of Independent States (CIS). There are 43 Russian Academy of Science institutes and more than 100 industrial research institutes in the region. Specialists are trained in 13 private and 19 state institutes of higher education; students from 18 different countries study in the oblast . Comparative analysis of the comparable parameters of NSO and six other regions of Western Siberia shows that NSO is the unchallenged leader in the sphere of agricultural production. As for its industrial output, its investments in fixed assets, its turnover of the retail trade, and its per capita income, it takes a middle position (third to fourth places). The unemployment rate and wage arrears of NSO are minimal against the background of an overall gloomy situation in Western Siberia. These favorable indices, however, offer little insight about the decline in the standard of living for the vast majority of the oblasts population. For the last five years, the tendency towards an impoverishment of the population has steadily grown. In 1995, for example, about 40% of the population had an income that was lower than their costs of living; in 1999 this was the case for over 60% of NSO inhabitants. The per capita income of Novosibirsk inhabitants in 1999 was 33.5% lower than their living costs. Compared to similar nationwide Russian indices, the average wage was 19.4% lower and the purchasing power of income was 58.8% lower. The economic state of affairs, where over a third of the companies in the oblast are unprofitable, is deplorable . The period of Boris Yeltsins indifference to the needs and requirements of the regions engendered noticeable centrifugal tendencies in the provinces. Virtually left to the mercy of fate by Moscow, the subjects of the Russian Federation elaborated various types of interaction with the federal government, with each other and the outside world, which had not been done before. NSO was among the areas that had to rely mainly on their own strength in order to cope with the great number of economic, financial, ethnic, religious and other problems. During the second half of the 1990s, the oblasts most challenging problem was the search for funds. This issue became more urgent following the drawing-up and implementation of the state budget of the Russian Federation. In defiance of the agreement reached between 1998 and 1999 on an equal distribution of income (50/50) between the federal center and the regions, the real correlation ended up as 52/48 in favor of the federal budget, and in 2000 it was further changed to 58/42. Meanwhile, as estimated by the leaders of the Siberian regions, the correlation of earnings should be different, namely 45% for the center and 55% for the regions, and the money could be reallocated by assigning 20% of the value-added tax (VAT) and 100% of the income tax to the members of the federation. It is not surprising that the NSO administration launched a high-profile campaign for this purpose. Regional forums organized by the Siberian Accord Association and the regional authorities made regular scathing attacks on the government for the unfair distribution of income between the federal budget and budgets of the subjects of the Russian Federation . In January 1999, for example, the former head of the NSO administration, Vitalii Mukha, said: We have insisted for a long time that the government should work out a legitimate technique for the allocation of money in order to, on the one hand, not unfairly hurt people and, on the other hand, not allow anybody to gain an advantage through personal contacts . In agreement with him, the newly-appointed head of the NSO administration, Viktor Tolokonskii, delivered a speech in a scientific and practical seminar which addressed the main problems of, and directions for, improving budgetary management, budgetary process and inter-budgetary relations at subnational levels of the RF budgetary system and was held in October 2000. In particular, he said: We do not have budgetary federalism; rather there is budgetary totalitarianism. Regional interests are not taken into account, and the center strives to take as many financial powers as possible. This will have a serious negative impact on the regional budgets when adopting a new tax code . The oblast leaders, not confining themselves solely to critical attacks, tried to change the budgetary allocation of financial flows by all available means. The participation of the head of the NSO administration, as a permanent member of the RF Federation Council, in the RF steering committee conferences on the federal budget became one of the instruments of influence over budget items. In this way, the leadership managed to obtain additional transfers to the region. Another way of lobbying for the oblasts interests was to organize regular face-to-face meetings between the governor, the head of government, and officers of the RF government, with government officials being defined as people of consequence in the presidential administration of the RF and the Federal Assembly . The pressure was applied to the center by State Duma members from NSO. The transfer, for example, for NSO from the federal budget 2000 was increased threefold, compared to the transfer in 1999, due to the efforts of its members, Nikolai Kharitonov and Liubov Shvets . The Novosibirsk community in Moscow and the Permanent Mission in NSO recently became additional instruments of influence in Moscow . Nevertheless, the financial situation in the oblast was rather tense over a number of years, and still remains that way. The reason was that even the modest budgetary funds that had been legally appropriated for NSO never actually arrived. The federal centers debts to the oblast for deliveries made to the defense industry, for departmental accommodation and maintenance of federal bodies, and for heat and electrical energy, have been steadily growing over the years. Despite the agreement on the recovery of public finances, which was signed in July 1998 between NSO and the government of the Russian Federation, the specialists of the oblast administration estimate that the amount of debt exceeded 1.5 billion rubles (US$51.5 million) at the turn of 1999 and, in particular, that the transfer indebtedness added up to 400450 million rubles (US$13.8 million). Moreover, the government secretly cut funding for science and tried to transfer some social and cultural facilities (facilities for specialized secondary education, departmental clinics, hospitals and the opera house) from the federal balance sheet to the regional one, thereby greatly aggravating the existing and already complicated situation. Finally, the oblast administration was forced to periodically raise bank credits in order to pay their workers, and to purchase coal, gas and fuel oil residue to ensure the continuous operation of the heat-and-power engineering complexes and the provision of combustible-lubricant materials for harvesting . The demonstrative neglect of the regions current needs by the federal authorities engendered an acute reaction to aloofness from the center. The criticism of the governments budgetary and financial policy soon spread to the whole government policy. In the fall of 1998, Mukha, stated that the policy directed towards economic liberalism and minimization of the governments role in the economic sector had reached a deadlock. According to him, Russia was suffering from an economic recession and had turned into a raw material appendage of the developed countries: Industry does not run in the country, taxes are not paid, the entire banking system has stopped. … In its turn, the government was not provided with complete information about the situation in the country, Mukha added: … the policy pursued by the country is against the interests of the majority of the population, and therefore, we should alter the government policy . This policy, which was aimed at rejecting the boundless liberalism of the RF government, was taken to its logical continuation by the inclusion of Mukha among the founders of the Otechestvo public association, which is lead by the Moscow mayor, Yurii Luzhkov, an open antagonist of the Boris Yeltsin administration. Mukha addressed the inhabitants of NSO in November 1998 on the occasion of the foundation of the Otechestvo movement and explained his own point of view. Admitting that positive changes had occurred in the country during the reform years, he also remarked on the half-hearted measures and carelessness that prevailed in the implementation of reforms, saying that blind adherence to adviser recommendations, the adoption of wrong, erroneous and sometimes criminal solutions, and an unprecedented outburst of governmental theft and corruption had led to the most tragic consequences. In the governors opinion, the methods of implementation and evaluation of results of market reforms had to change radically, so that the authorities would have to take specific responsibility for the standard of living and life expectancy of the people, the countrys safety, and guarantee the protection of the peoples rights and freedoms. Mukha summed up that we recognize the need to change the existing policy, but we do not want to return to the old totalitarian regime. We are neither right wing nor left wing radicals. We are politically neutral. We are striving to unite all who want to create something that can really benefit their people. Great emphasis was put on the adherence of the Otechestvo movement to the idea of conservation of the integrity and the state system of Great Russia and the multiplication of its sovereign merit and power . During a meeting with journalists on April 26, 1999, the head of the NSO administration expressed a provincial attitude towards the center when he said: We appeal to all to understand that we are not playing political games, but are thinking about how we can lead the country out of crisis. We have lost 10 years in the countrys development and we, the regional leaders, see that the federal center still has no positive program for economic expansion. The regions have to take on this task, and together determine the countrys policy for economic development . Despite its severely critical attitude towards the federal power, the administration of NSO always demonstrated its adherence to the principle of a centralized, common and indivisible state. During a discussion with journalists in February 1999, for example, Mukha insisted on the absolute need to restore the vertical axis of power immediately. He said: In this respect, a revision of the countrys constitution is brewing … At present it is impossible to pursue a coordinated policy when each leader is like a principality prince and has no commitments, but only rights . The same view was taken by Mukhas successor Tolokonskii, who pointed out that we have always spoken in support of a powerful federal center, and it is necessary to carry out every single order of the state. On the other hand, he also added that in a federal state, the governors should be entitled to influence the national policy, otherwise it would not be a federal state. A federal state should have law-making functions and office appointments by democratic elections . Tolokonskii later on expressed understanding for the actions of Russian President Vladimir Putin due to the fact that the Federation Council had been deprived step-by-step of its prerogatives. Although, in passing, Tolokonskii doubted that the step of strengthening the federal center would contribute to a consolidation of the vertical axis of power since, according to him, Russia had always been strong thanks to the regions and this step could lead to the decay of their influence. As long as the governors are appointed by elections, however, the democratic principles of state administration will be preserved . In addition, there were no obvious protests from the oblast administration associated with the foundation of seven federal districts in the middle of 2000, including the Siberian Federal District and the Siberian District Public Prosecutors Office. These were intended to exercise vigilant supervision over the lawfulness of the actions of the provincial authorities on behalf of the president of the Russian Federation . Financial constraints have largely, if not completely, induced the administration of NSO, as well as leaders of other Russian regions, to search for new methods and forms of interaction with the outside world. Under the conditions described above, where the centralized government left the provincial territories to the mercy of fate, the peripheral elite had to form its own strategy and tactics of international cooperation, as well as relevant inter-regional and regional institutions and legislation. In NSO, the first step in this direction was the regional administrations development of foreign economic activity and inter-regional contacts of NSO and the Novosibirsk Regional Councils approval of these initiatives on 26 October 1995. The approved document affirmed an active posture of the region towards Russian territories, former Soviet Union republics and other foreign countries. Mukha said that … in the present situation, a strategy of self-isolation, iron curtain, and/or confrontation with other countries are not acceptable to Russia, referring mainly to NSO which had been entrusted to him by the central administration. The logical consequence of this is that the major scenario will be based on the integration of the countrys economic and resource potential into the global economic system . This perception was then externalized in a by-law by the head of the NSO administration, dated 29 February 1996 and entitled Regional Program on Involvement of Domestic and Foreign Investments in the Economy of Novosibirsk Oblast, and in the law On International, Foreign Economic and Inter-regional Contacts of NSO, passed by the Novosibirsk Regional Council on 1 November 2000. It is noteworthy that the political elite of the oblast, while demonstrating a certain independence in the field of international legislation, has always strictly followed the principle of prioritizing federal interests and the federal legislation. The above-mentioned law, for example, adopted on 1 November 2000, stipulates that NSO has the right to directly contact only subjects of foreign federal states or local areas of a foreign country. If any matter involves contacts with the state authorities of a foreign country, such actions are allowed only with the prior consent of the government of the Russian Federation. The law also stipulates mandatory coordination of international agreements of NSO, visit programs for foreign delegations in NSO, statesmen and political figures at high and top levels with the Ministry of Foreign Affairs of the Russian Federation, and other federal executive authorities. It is possible to terminate or suspend NSOs international agreements in advance if the oblast agreement contradicts the legislation of the Russian Federation, the economic and political interests of the Russian Federation, or if contradiction occurs on any other grounds recommended by the Ministry of Foreign Affairs (MFA) of the Russian Federation. The loyalty of the regional administration towards the center was also proven in earlier legislative acts. On the other hand, however, when the Russian Federation concludes international treaties that touch upon the interests of NSO, such contracts must be agreed with the administration of NSO. In the field of intra-federal cooperation between regions, the actions of the oblast authorities are limited only by the constitution of the Russian Federation . At various times, different specialized institutions have been established. These were attached to those sectors of the Council and the NSO administration that were in charge of international policy. Among these were the Committee on Foreign Economic and Inter-regional Contacts, which was then reorganized as the Committee for International Cooperation, Foreign Economic and Inter-regional Contacts of the Administration of the NSO, and later, the Committee of International, Inter-regional Contacts and Trade, which was then reorganized as the Committee of International, Inter-regional Contacts and Tourism. The latter was divided into two new committees in May 2000: the Committee on Inter-regional Contacts and Tourism, and the Committee on International Contacts, Projects and Programs. Such frequent structural reorganization indicates a tendency towards activation and intensification of international cooperation. The legislative assembly (Council) of the oblast now includes a Committee on Economy, Inter-regional Foreign Economic Contacts and Administration of Property. Moreover, there are consultative structures intended to coordinate the activities of the legislative and executive branches, and of all the legal entities and individuals involved in international relations: a coordinating board on foreign investments under the head of the NSO administration, and the Council on International and Inter-regional Contacts under the NSO administration . Not long ago, in the spring of 2000, the federal center looked into founding a body to supervise the nature of international contacts of NSO, such as a representative office of the RF MFA in Novosibirsk. Much to the gratification of the regional authorities, however, the representative office will be headed by the former vice head of the NSO administration and ex-chief of the Committee on International Inter-regional Contacts and Trade, Vladimir Nekhoroshkov . Thus, Moscows is unlikely to take significant influence on the region in this domain. The foreign economic activities of NSO in the second half of the 1990s were characterized by an intense dynamism. Trade relations were maintained with over 80 countries of the world. The volume of foreign investments in the economy of NSO was steadily growing up to the end of the 1990s. According to the EU TACIS (Technical Assistance to Commonwealth of Independent States) program and the regional state statistics committee, it amounted to US$71.7 million in 1996, US$103.6 million in 1997, and US$186 million in 1998. As early as January-June 1999, however, the volume of foreign investments was reduced to US$83.1 million (i.e. reduced by about 10.6% of the annual average), and in the first half of the year 2000, it was reduced by more than twofold, compared to a relevant period of the previous year, amounting to US$39.4 million. Nevertheless, according to Ekspert magazine in 2000, NSO took seventh place for the volume of foreign investments. Furthermore, it has taken ninth place among the Russian regions for the last six years. The main share of foreign investments is through direct investments which is the most efficient procedure for the development of the economy and industry. In compliance with data for the Novosibirsk Regional Committee, the greater part of foreign investment is directed towards developing the food industry, trade and catering (90.3% valuta and 92.3% ruble investments respectively), and to supporting social projects. There is a bearish tendency in the foreign trade turnover, which went down from US$770 million in 1995 to US$603.2 million in 1998 (approximately 21.7%); the data for the first quarter of 1999 also shows a reduction of more than 28%, mostly due to changes in the export market (the imports remained at the same level or grew somewhat). An unfavorable foreign trade balance is therefore evident. The latest information on the year 2000, however, shows some improvement in the situationafter the turnover increased to US$696 million (i.e. by 25% in comparison with 1999). Nevertheless, it never regained the level of 19951997 . In general, there are reasons to assume that the comparatively high investment attractiveness of the NSO economy is substantially spoilt by the unpredictability of the Russian political regime, the vague and weakly developed modern legislation of the Russian Federation, and corruption and pervasive crime in the economy. The default in 1998 gave foreign investors a bad impression. In its turn, the decreasing level of US dollar and ruble investments led to an extended stagnation in the socioeconomic life of the oblast. During the period under consideration, the development of mutually beneficial contacts with foreign countries was undoubtedly a top priority. These countries account for over 60% of the oblasts foreign trade turnover. Among these foreign countries, the most important are the United States (foreign trade turnover in 1999: US$51 million), Germany (about US$40 million), China (US$24.7 million in 1998), Japan (more than US$12 million), the Netherlands, France, and Italy. A rather active cooperation has developed with Canada, Sweden, Norway, Israel, the Democratic Peoples Republic of Korea and the Republic of Korea, Turkey, and India. Relations with Australia, Northern Ireland, and Mongolia are being established . Under the export structure of NSO, the prevailing export goods were engineering products (48.3% of the volume of exports according to the information for the fall of 1997). Among these products were: tools for bore-milling machines and planing and drilling machines, engines and AC generators, shuttle machines and shuttle-less machines, equipment for civil aviation, equipment for railways, fuel elements, electric magnets and digital units, electrical equipment, stand equipment for bench-scale tests, optical-electronic devices, devices for isotope separation, particle accelerators, magnetrons, pneumatic punches, coal electrodes, etc. A far smaller portion of the oblasts export includes the export of ferrous and non-ferrous metals (21.6%), petrochemical products (11.3%), timber, wood and articles made of wood, and precious or semi-precious stones. The export situation for foodstuffs and raw material for their production (5.8%) is similar. Light industry and food products are in the least demand. Mechanical engineering equipment has become a major factor in imported products. The oblast has increased imports of process lines for bottling soft drinks, machines for the manufacture of plastic bottles, electric boards and air-conditioning systems. The deliveries of petrochemical products have increased (above all the pharmaceutical products). Imports of fuel and energy products have remained practically the same. Imports of foodstuffs and raw material for their production are decreasing, as is the case for some consumer goods: footwear, fur and leather clothing. In NSO there are more than 600 joint ventures, including 111 companies involving investors from the Peoples Republic of China, 53 Russian-American companies, 42 companies involving citizens and legal entities from Germany and other foreign countries. Dozens of foreign firms and companies have accredited representative offices (according to the data for 1998 there are 38 of these). The ratio of products produced by joint ventures and foreign enterprises is not high and merely amounts to 2.2% of the total, and a downward trend (by 18.6% for 1999) can be observed. In the field of external economic activity, there are around 1000 organizations and enterprises of NSO, making up 10% of the total number of organizations and enterprises in the oblast. In terms of external economic activity, Novosibirsk enterprises and scientific associations (scientific and production associations) benefit a lot from cooperation with foreign countries. Among them are: the Sibirskii Laser Center, the Sibirskii Research Institute for Optical Systems, ELSib, Trud Plant, NovEZ, the Novosibirsk Tin Combine, the Instrument-Making Plant, Tyazhstankogidroress, Sibelectrotyazhmash, Sibtecmash, Electrosignal, JSC Metal Structures, the Pointer Plant, Siblitmash, Sibelectroterm, JSC NOVZ-Soyuz, the Novosibirsk Metallurgical Combine, the Novosibirsk Aircraft Overhaul Plant, Ekran Plant, Sibtekstilmash, the Novosibirsk Forestry Combine, JSC Novosibirskmebel, the Institute of Nuclear Physics, the Catalysis Institute, the Institute of Cytology and Genetics of the Siberian Branch of the Russian Academy of Sciences, Sinar, Siberia construction company, the Westfalika footwear factory, and JSC VINAP . It is possible that beneficial contracts were concluded by the above-mentioned enterprises and institutions mainly due to the powerful industrial lobby in the Novosibirsk Regional Council (legislative assembly of NSO). The following people are council members for 21 January 1998): A. A. Glazkov, chief economist of JSC VINAP; A. V. Fedorov, deputy general director of JSC VINAP; U. B. Korovin, general director of JSC NovEZ; V. S. Medvedko, general director of JSC Soyuz Novosibirsk Electro-Vacuum Plant; V. D. Chervov, chief executive of Siberia design and construction company; A. A. Kozlov, chairman of the labor union of defense industry workers, and some others . Among the big economic projects implemented by NSO in cooperation with foreign countries, the program for constructing the Novosibirsk co-generation plant TETs-6 together with French companies Bouygues Construction and ElectricitИ de France deserves special attention. According to the concept of the designers, the co-generation plant will operate on ecologically clean gas and produce up to a third of all the heat and electrical energy in NSO. This is crucially important in conditions where there is a permanent power shortage. The preliminary costs of the project amount to 7 billion French francs, or US$1.2 billion. Another considerable project intended to safeguard the regions foodstuffs is also being developed with the participation of the French side. According to plans, high quality and very productive beef cattle breeds will be imported to NSO, as well as a large livestock population (3000040000 head annually) to strengthen the gene pool of the oblasts cattle. It proposes to organize a before and after sale service by teaching new technologies to the Novosibirsk livestock breeders. NSO has already secured credit for about US$15 million to purchase the first 10000 head of cattle . There are also joint projects underway which are less significant in terms of their socioeconomic effect, but very important as regards NSOs inclusion into the global economy. These include: the manufacture of a 32000 kW turbo-generator by JSC ELSib with the participation of Jeumont Industrie (France), the production of a modern packing material by JSC Rodina and the Swedish company Elof Hansson, and the production of a new generation of electric shavers by the JSC Berdskii Electro-Mechanical Plant together with Philips . The region cooperates closely in the field of economic and international commerce with the former Soviet republics -of Ukraine, Belarus, Kazakhstan, Moldavia, and Uzbekistan. The relations of NSO with Ukraine are characterized by an especially positive dynamic. It is noteworthy that Ukraine heads the list among the former Soviet republics and other foreign countries in terms of trade turnover with NSO. During nine months in 2000, trade with Ukraine made over US$161 million, having grown by a factor of 2.5 in comparison to a similar period in 1999, and it now accounts for more than 30 % of the oblasts total trade turnover with all foreign countries. An example of the advantageous cooperation between Ukraine and NSO is the An-38 aircraft which was jointly developed by Chkalov Scientific and Production Amalgamation (NAPO) and Ukrainian aircraft constructors recently. Moreover, 80% of the Ukrainian nuclear power plants are serviced by the Novosibirsk Plant of Chemical Concentrates (NPCC). This creates a solid base for continuing and intensifying economic, scientific and technical cooperation. Much importance is assigned to an agreement between NSO and the Crimea Autonomous Republic on trade, economic, scientific, technical and cultural cooperation for 20012003. On the one hand, the agreement stipulates that NSO will be supplied with products of the chemical, light industry and food production industries, alcohol drinks, and fruit and vegetable canned products; on the other hand, it guarantees the participation of Novosibirsk inhabitants in different investment projects in the areas of construction, tourism, and science and industry in Crimea . An agreement between the oblast administration and the Republic of Belarus was signed in December 1998, which presupposes long-term commercial, economic, scientific, technical and cultural cooperation by means of a system of contracts worth in total over US$55 million (about 1.1 billion rubles). Among the largest projects are: the creation of a joint center for the development, implementation and maintenance of laser medical facilities and industrial laser complexes by the Sibirskii Laser Center and the Physics Institution of Science Academy of Belarus (with an overall contract volume of US$30 million, duration up to 2004); deliveries of heat pumps for Belarusian enterprises by the Novosibirsk Institution of Thermal Physics of the Siberian Branch of the Russian Academy of Sciences (a contract worth US$500000); export of electric equipment for Belaz to Belarus, worth US$ 3.4 million; 10000 tons of bread grain (worth US$1.2 million); 15000 tons of wheat (worth 30 million rubles); and 85000 tons of feed grain (worth US$3.3 million and 75 million rubles). Within the framework of these projects, plants such as Sibstankoelektroprivod and Sibtekstilmash maintain the deliveries, and JSC Rembyttekhnika works with home electronics of Belarusian production. In compliance with such contracts, Belarus provides NSO with machine tools for the JSC Novosibirsk Plant of Chemical Concentrates and trolley buses worth US$3.3 million. When the agreement was implemented, new participants appeared, such as the Novosibirsk Pointer Plant and Kuybyshev Chemical Plant. The Sibir-Belarus Trade House was established to allow the exchange of non-monetary goods when there is a permanent deficit of hard currency. The constitutive agreement on the creation of the Trade House was signed by the following organizations of NSO: the Novosibirsk Food Corporation, Rembyttekhnika, Sibstankoelektroprivod, Severianka, the Levoberezhnyi bank, Sibelektroterm, and the executive directorship of the Siberian Agreement. The Belresursy corporation is participating in the agreement for the Belarusian side. Belarus is very interested in furthering business relations with NSO in directions such as radio electronics, laser technology, and the assembly of electric public transport in Novosibirsk. The Belarusian side is also hoping for cooperation in the field of agriculture. This involves mutually advantageous deliveries of Belarusian engineering products (on leasing terms) in exchange for food goods from Siberia. Due to a consistent policy on behalf of the NSO administration, Belarus is one of the top countries in the oblasts turnover. This turnover amounted to 4.3% of the total volume of transactions with the CIS countries in 1995; in 1997 it grew to 13.1%, and in 1998 reached 15.9%. During nine months in 1999, the turnover between Belarus and NSO accounted for more than US$10 million . The cooperation with a number of regions in Kazakhstan is also developing successfully. The volume of trade with East-Kazakhstan Oblast (EKO), for example, amounted to 12% of the total volume of the NSO turnover. In NSO, 44 companies export their products to EKO, and in turn, the EKO companies supply raw materials to Novosibirsk plants. The cooperation with Pavlodarskaia Oblast is also intensifying. In November 2000, due to successful negotiations between the representatives of the Novosibirsk and Kazakhstan business circles in Pavlodar, over 70 contracts were concluded amounting to a total of more than 100 million rubles. For the Novosibirsk side, the contracts were signed by Konditer company, the JSC Suzunskii pig farm (on pork processing), Rosagrokorm Ltd. (on feed supplies to the poultry farms), and others. In Novosibirsk, an association to promote Russian- Kazakh collaboration has been created . Kazakhstan is interested in electric power deliveries and industrial products from Novosibirskin particular, from plants such as ELSib, the Metallurgic Plant, the Instrumentation Plant, and Siblitmash. Kazakhstan is seriously lacking in medical products, medical and dental equipment, etc. The region is prepared to establish joint ventures to produce syringes, glassware, and medical products from local vegetables, spirits, etc. Kazakhstan can provide supplies of vegetables, fruits, wine, buckwheat, wheat, and other products . Some profitable contacts have been established with a number of Uzbekistan oblasts. Among them, the joint venture (JV) Sibir-Namangan was created. Its turnover in 1998 amounted to 2.8 billion rubles. The JV exports timber, metal, and tubes from NSO, and fruit and vegetable products from Uzbekistan . Difficulties that frequently arise in the process of adjusting and improving foreign economic activity make some participants in this process extremely nervous. They therefore aim to achieve the desired result within a very short time span and at any cost, even in contravention of the federal legislation and Moscow middlemen. It is noteworthy that there are contradictions in the legislative acts of the Russian Federation, for example, regarding the export of products used by the enterprises that have dual purpose. In particular, JSC Catod and the Novosibirsk plant JSC Ekran produce commercial image converters (IC), including a new generation of IC used in observation devices and telescopic sights for night vision devices. These IC are included in a list of goods whose export is restricted by the state. Meantime, at the end of 1999 it was revealed that the shipment of a large amount of IC had been delivered directly from the manufacturer to a client in a former Soviet Union republic. It turned out, however (incident investigation was carried out by the Federal Security Service in NSO), that the export contract was not registered, and the company did not receive any export license from the specialized agencies Promeksport and Rosvooruzheinye. It is likely that similar unauthorized initiatives from below forced the center to open a Siberian representation office of the federal government unitary enterprise Promeksport in the fall of 2000 in Novosibirsk . Humanitarian aid obtained by NSO from different foreign sources is an important addition to the economic trade collaboration. Since 1997, within the framework of the project on improving the regional social infrastructure, the European Bank for Reconstruction and Development (EBRD) has provided financial support to restore and construct about 20 schools, four hospitals, two clinics, over 30 plants for water supply and sewerage, to purchase equipment for the dehydration of sludge in the purification facilities, and to acquire cesspool trucks and field ambulances. Under this project, NSO has received credits amounting to about US$76 million. This successful undertaking in NSO caught a sudden snag when the federal authority stipulated parity between the government of the Russian Federation and the oblast administration in the repayment of the loan, in spite of an agreement with the EBRD, and attempted to shift all responsibility for obligation fulfillment on to NSO. The administration and spokespersons of the Bank, however, managed to reassert the initial obligations of the parties concerned. NSO will return half of the credit; the Russian government will repay the other half. The EBRD will continue its cooperation with NSO at least until 2002 . Besides credit aid from the EBRD, NSO obtains regular support from the European Union through a complex of various TACIS programs. By 1999, NSO had successfully completed 7 similar programs; another 11 programs are still being implemented. Among these are: projects of the Energy Center, technical assistance for the CIS states, assistance for the telecommunication educational center, the Educational Center for teaching the disabled, support of foreign investments (in particular, presentation of NSO in the prestigious European Business Club), reforms of accounting and auditing, foundation of a business faculty in the Sibirskii Independent University, and the program Innovation centers and techo-parks. As for the latter program, its core is represented by the InnovationTechnological Center (ITC) of the techno-park in Novosibirsk, created in 1997. The center is under the patronage of the Soros Foundation . For several years, the program Assistance for the Sake of Advancement, under the patronage of the US Department of Agriculture, has been implemented in the territory of NSO. The oblasts citizens received 5000 tons of food in 1999 (data for 2000 is still unknown). Products such as vegetable oil, rice, peas, and powdered milk are delivered to shelters, educational and health institutions such as maternity hospitals and childrens homes, hospitals, old peoples homes, boarding schools, as well as to private individualslarge and incomplete families, as well as poor families. Moreover, the plan for humanitarian aid includes about 10000 scientists and research assistants of the Siberian Branch of the Russian Academy of Science, and teachers and students of Nizhnii Novgorod State University . Although it was impossible during the course of this research study to identify hallmarks of systematic influence of the representatives of national or ethnic groups settled within NSO on the development of foreign economic and foreign trade relations of NSO, this influence is undoubtedly real and determined by the fact that large ethnic groups exist in this region. There are 89 nationalities and nations in the region. Among them, the Turkish people (mainly the Tatars, the Kazakhs) are especially numerous (up to 100000 people). There are also about 60000 Germans, and more than 50000 Ukrainians. More than 30 national amalgamations and cultural centers exist. There are eight autonomous areas within NSO for the German, Belarusian, Korean, Greek, Jewish, and Finnish communities. There are 147 religious amalgamations and organizations representing about 40 registered denominations . Besides promoting special economic interest, the presence of other ethnic groups in NSO has spurred former Soviet Union republics and other foreign countries to invest a lot in the development of territories of compact dwellings for the relevant ethnic groups. In this context it is worth mentioning the activity of the government of the Federal Republic of Germany (FRG), which has invested in the life of Russian Germans in NSO, thereby expressing its national solidarity with them, and also perhaps trying to stop or turn back the flow of immigrants from Russia to Germany. In order to implement all kinds of projects in favor of the Russian Germans, the FRG intends to appropriate more than DM 4 million. It is clear that in this case the NSO budget will be relieved of the burden of care for the resident Russian German people. The German side has helped to organize the construction and purchase of housing for Russian Germans who have immigrated from Central Asia and Kazakhstan to Novosibirsk and to several districts of the oblast, and to reconstruct and build German kindergartens, schools, and cultural centers. There is a well-organized medicine production line on the state farm of Lekarstvennyi. Much work is being performed to supply humanitarian aid to the oblasts medical institutions, consultations are being given, specialists in various branches are passing through advanced training, and small and medium businesses are being supported by investment credits. In compliance with an initiative of the FRG government in February 2000, the medical administration of NSO and the Novosibirsk Developing Society signed an agreement on the implementation of a pilot project to identify and cure tubercular patients in nine cities and districts of NSO. In the middle of July 2000, NSO received deliveries of anti-tuberculosis medicine worth over DM 270000 (about US$120000). Individual German LДnder are contributing their share to this process. The administration of Landshut county in Bavaria, for example, donated an apparatus of ultrasonic diagnosis, an X-ray machine, medical tools and other equipment to rural medical institutions in the Novosibirsk region . The relationship between NSO and other Russian regions has been developing intensively during the period under consideration. During the last few years, a number of agreements on trade, economic, scientific, technical and cultural cooperation have been signed and implemented with the Republic of Dagestan, the Republic of Tatarstan, the Republic of Saha (Yakutia), Chukot, Taimyr, and Khanty-Mansi autonomous okrugs, and others . Taking into consideration the acute and permanent deficit of energy resources, the NSO administration has given much attention to the establishment of lasting partnerships with fuel-extracting regions. Within the program Equipment for Oilmen and Gas Industry Workers, for example, contacts with the oil-extracting enterprises of the Tyumen and Tomsk oblasts were established. There is already a stock of orders in place to manufacture gas-producing equipment, oil and gas drilling machines, tools, devices, spare parts for oilfield equipment, to keep equipment operational, and to carry out research, design and project activities worth 100 million rubles. Many Novosibirsk companies are working on the implementation of backlog orders from companies such as SIANT, Sever, BEMZ, Sibelektroterm, SibNIA, the Electric Locomotive Repair Plant, NEVZ-Soiuz, etc. The creation of a holding company for producers of oil and gas recovery equipment is being discussed. Attempts are being made under the Equipment for Miners program that are aimed at effective cooperation with the Kuznetsk coalfield. Agreements have been achieved with the administration of Kemerovo Oblast about joint projects on resource-saving technologies, new machinery and instruments for the coal industry, new technologies for processing coal waste, etc. The Equipment for Miners program involves JSC Tiazhstankogidropress, the machine-building plant Sibselmash, the Electric Locomotive Repair Plant, JSC Electroagregat, Experimental Repair-Mechanical Plant, and Iskra. The total volume of supplies for miners for eight months in 2000 added up to 164.3 million rubles. Activities in three areas are planned for 2001: the manufacture of mining equipment; machines and equipment to service the municipal economy (asphalt cutters, cleaning machinery); and oil-gas equipment (boring derricks, facility to produce technical nitrogen). The most promising area involves creating automated complexes for coal extraction. At present such complexes are not being produced in the country. According to most modest estimates, the volume of output increased by 2% (or 277 million rubles in monetary terms) due to the implementation of above mentioned and some other inter-regional programs in NSO . The administrations of NSO and Kemerovo Oblast signed an agreement in February 1999 on the essential principles of cooperative development of the fuel resources of Kuzbas. The objective of the agreement is to create a fuel base in Kemerovo Oblast to provide black coal for the needs of the energy-intensive engineering industry, domestic needs of NSO and investment in the coal industry. The goal is to establish joint ventures with a maximum output of two to two and a half million tons of coal annually. The Kemerovsko-Novosibirskii fuel-energy complex (KeNoTEK) was to become one of these enterprises. NSO intended to extract between one and two million tons of D class coal from the Karakanskii-Yuzhnyi coal bed, which belongs to KeNoTEK, at a cost of 80100 rubles per ton. This is much cheaper than current prices (which far exceed 200 rubles per ton) . During the projects implementation, however, embarrassments arose. It transpired that the Karakanskii coal has an enhanced humidity and a high ash content, and is therefore not quite suitable to meet the social and daily needs of the oblast. Some financial difficulties arose; the investments of NSO to develop the cut amounted to 40 million rubles, and 500 million rubles that were not included in the NSO budget were required to achieve design capacity. Under the current situation, JSC Novosibirskenergo will purchase a portion of the authorized capital of NSO. This company has an objective personal interest as well as the necessary funds to continue the KeNoTEK project . Apart from Siberias fuel regions, the situation is much better for consumer goods due to regular exhibitions and trade fairs of Novosibirsk producers, such as the Sinar company, the JSC Sorevnovanie clothes factory, the JSC Novosibirskii Fashion House, the Westfalika shoe company, KORS Ltd., NPTs Sibirskii Natural Cosmetics Ltd., JSC VINAP, Ekoplast, JSC Severianka, and JSC Sibirskii Haberdashery and Leather Goods . In order to provide the oblast with a steady supply of energy resources and, at the same time, acquire an additional source of revenue, the NSO administration attempted to pursue oil and gas extraction in the territory of the Verkh-Tarskoe field with the direct assistance of companies such as Sidanko and British Petroleums from 1994. The field, however, is being developed in the face of severe difficulties. Instead of the planned 70000 tons of oil, only 8200 tons were extracted in 1996 (i.e. about 11.7% of the planned volume); in 1997, 9000 tons were extracted instead of 404000 (2.2% of the target); and in 1998, 20000 tons instead of 758000 tons (about 2.6% of the target). Such low results are primarily due to permanent delays, a decrease in the funding, and an urgently required revision of field development. As a result, the oblast budget lacked about 180 million rubles; 262 millions rubles were invested in this project during 19971999 . An option for direct cooperation that is quick and reliable is an agreement between NSO and Taimyrsky (Dolgan-Nenets) National District, which was signed in the spring of 1999 on supplying the North with agricultural products in exchange for oil and gas. The national district also intends to fund residential construction in NSO for those families whose work period has expired. Moreover, funds are appropriated for the education of northerners children in educational institutions of Novosibirsk, and for their summer recreation in the health camps of NSO . Although the above-mentioned initiative to establish KeNoTEK has still not provided the desired results, the NSO administration remains convinced that big inter-regional consortia can be a promising form of economic interaction amongst subjects of the Russian Federation. The leaders of the Novosibirsk and Perm oblasts, as well as the Republic of Tatarstan, signed an agreement in November 1999 that will lead to the procurement of three Tu-214 aeroplanes manufactured at the Gorbunov Kazan Aircraft Production Amalgamation (KAPO), and equipped with engines produced at JSC Perm Motors, by the Sibir Novosibirsk Air company. In this case the funds needed to manufacture a new generation of aircraft engines will be taken out of Sibir Airs profit, which was gained from operating Tu-204 aircraft belonging to the Avialeasing Perm company . The disintegration of the USSR and the ensuing declaration of national sovereignty in Russia fundamentally changed the configuration of the national borders and inter-regional relations. Suddenly, NSO was a border territory. On the one hand, its new proximity to the national boundary created favorable conditions for immediate and frequent contacts with former Soviet Union republics and other foreign countries, and NSO made use of this. On the other hand, however, the border position turned out to be fraught with a whole complex of acute and painful problems. One of these is illicit trafficking of drugs (opium, marijuana, hashish, heroin) that are mainly supplied from Kyrgyzstan and Kazakhstan. Due to this fact, the number of narcotics-related diseases in the oblast is growing: in 1997 5885 people were registered with a drug addiction diagnosis. The total number of drug consumers up to 1 January 1998 amounted to 11837 people; this is 1.5 times more than in 1995. In 1998, the number of drug addicts increased by 15% . It is clear that illicit trafficking and drug addiction are a nourishing ground for the growth of severe delinquency. The regional authorities are especially concerned about the possibility of commandos coming from regions with inter-ethnic or inter-confessional armed conflicts (Central Asia, Transcaucasia) and illegal migration. In 19961997, for example, the NSO migratory office registered about 16000 immigrants, and from the middle of 1998 to the middle of 2000 an additional 7000; 800 of these have settled in the border areas. Frequent cases of smuggling, mainly of low-quality goods produced in China, create a serious threat. According to the Union of Siberian shoemakers, only 11 million pairs out of the 150 million pairs of footwear imported into Russia in 1999 have passed customs . At the same time, some cases have been registered of smuggling of: spirits, alcoholic drinks, tobacco products, and spare parts for agricultural equipment and cars. Stocks of materials and capital equipment such as wood, metals, combustible-lubricating materials, and cattle are regularly stolen from the regions territory. Furthermore, the threat of economic and military espionage has always been high in Novosibirsk as it is the biggest scientific-industrial and transport center of the Russian Federation. Based on the federal law On the State Border of the Russian Federation, the head of the NSO administration issued a by-law on 1 August 1998 defining a boundary regime for NSO and a special regulation that stipulates in detail its specific content, space and time boundaries and objectives. A border area was established along the Russian-Kazakhstan state border (317 km of which extend along NSO) crossing the territory of four rural districts of the oblast. In the first stage of implementing border control, NSO does not intend to provide measures such as entanglement installation, arrangement of trace control stretches, etc. It was decided to first of all organize passport control and control over the transportation of goods; in this case the border remains permeable for family and cultural contacts. Border control is performed at checkpoints where officers serve only on a contractual basis. Moreover, in compliance with the by-law of the head of the NSO administration issued in April 1998, squads of volunteers are involved in monitoring the national boundary and public order in the territory of the border zones. Thanks to the efforts of the regional administration, the Novosibirsk territorial department, one border detachment, two commandants offices and eight border posts are now in the territory of NSO. The customs control over the transportation of goods is accomplished at a single car admission point. Pursuant to the requirements of federal law On the Procedure of Leaving and Entering the Russian Federation, in order to prevent the use of the CIS territory by citizens who were denied departure abroad, border control is now carried out in the Tolmachevo Novosibirsk airport for aircraft and passengers leaving Russia for CIS states (except for Belarus) . The boundary zone of NSO with the Novosibirsk territorial department is under the jurisdiction of south-eastern regional office of the Federal Border Guards Service (FBGS) of the Russian Federation in Chelyabinsk (under the command of Lieutenant-General R. Sh. Mullaianov). To ensure safer control of the border, the border guards work in close cooperation with Novosibirsk Customs, FBGS office in NSO, NSO Internal Affairs Office, and other offices . NSO customs offices have been built over a number of years (beginning from a customs station established in December 1989). Currently, Novosibirsk customs consists of 25 departments, one division, one detachment, two individual customs stations, and an extensive network of customs registration centers in Novosibirsk . The creation and maintenance of federal border service structures in the territory of NSO required considerable material and financial resources. For example, 1.3 million rubles were appropriated during the last two years to develop the Novosibirsk individual checkpoint. For the same reason, 954000 rubles were transferred to JSC Tolmachevo Airport. Moreover, the regional administration has acquired thirteen apartments for officers, organized motor transport, reconstructed the buildings assigned to service rooms, and paid public utilities and other expenditures in support of the business activity. The total amount of assistance of the NSO administration in 19971999 amounted to 3,682,800 rubles. 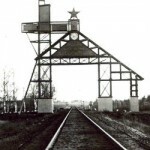 In 19992000, funding for the border service was provided by organizations such as JSC Konservschik, the Kupinskii Elevator, the Kupinskii Brick Factory, the Locomotive Depot, the fuel base and forestry industry of Chistoozernoe village, the furniture factory of Tabulga village, and the Wagon Repair Depot. Within the framework of the regional program on the coordination of joint activities of the NSO administration and law enforcement bodies on crime fighting, it is planned to appropriate an additional 238000 rubles in 2000 for the logistical support of FFS units deployed in the NSO territory . Despite the severe measures taken to protect the border zones, however, the border between the Russian Federation and the Republic of Kazakhstan remains rather permeable, because of many by-ways and country lanes in the border area that are left unpatrolled, low standards of living that constrain people to cooperate with smugglers, and a single customs zone. In addition, the delay in negotiations on the international-legislative status of the national boundary makes it impossible to carry out delimitation and demarcation in this sector. Funding from the federal budget remains insufficient, and therefore there is none of the necessary engineering equipment for the border stretch, and no customs stations, checkpoints, or second-line border crossings have been built. The level of technical equipment at the existing frontier and customs units is exceedingly low . Chances for additional investments from NSO are reduced by the fact that, in addition, the oblast has to participate in the improvement of border and customs infrastructure of the neighboring regions within the framework of the MASS agreement . The above mentioned services of NSO regularly carry out large-scale special preventive operations in the border zoneChannel, Caravan-auto, Poppy, Doping, Barrier, Net Interception, and others, especially with the participation of the security services of Kazakhstan. In 1998, during the Net Interception operation alone, joint mobile search groups carried out round-the-clock control over freight movement across the frontier with Kazakhstan in two districts of the region, using automobile transport and a helicopter belonging to the NSO Internal Affairs Office. As a result, more than 20 vehicles were stopped, the customs authorities filed 12 proceedings regarding violation of the customs regulations, and fined offenders more than 10000 rubles. For four months in 1999 the associated groups performed more than 30 joint raids and inspections in the border areas between Kazakhstan and NSO. As a result they managed to suppress the illegal export of 38.5 tons of petrol and 28 tons of cement from the territory of NSO. The customs intercepted contraband worth 300000 rubles, and six vehicles illegally brought into the border districts. In addition, 27 people were taken to the administrative authorities for infringement of the border regime, and two firearms and more than two kilograms of drugs were confiscated. Only in the year 2000, FBGS officers broke up three international drug cartels delivering to the region of NSO. They arrested members of two criminal groups and confiscated about 80 kilograms of hard drugs (five kilograms of which were heroin) worth about 6 million rubles in total. In the same year, FBGS officers from NSO suppressed another international illicit channel of drug supplies from Kazakhstan to Novosibirsk. According to official FBGS information, their officers arrested five members of an organized group that had been bringing marijuana and hashish into the regional center by road and railway. With the assistance of Interpol officers, the drug suppliers from Kazakhstan and dealers from Novosibirsk were identified. In the course of searches, the officers confiscated over 160 kilograms of marijuana and almost a kilogram of hashish with a total street value of about US$35,000 from the smugglers (the price on the black market). In January 2001, they eliminated an organization for supplying silenced automatic pistols produced at an underground workshop in Chechnya to Novosibirsk . Some measures have also been taken to suppress illegal migration. As early as December 1994, the oblast administration adopted a special regulation On the Procedure for the Consideration of Applications of Foreigners and Stateless People who Intend to Reside in NSO Permanently. The committee was constituted and headed by the vice-governor, the chair of the Committee on Foreign Economic and Inter-regional Contacts of the NSO administration. In April 2000, the composition of the mentioned committee was reviewed and completed. There has been an immigration checkpoint at Tomachevo airport since late 1996. Regional police departments took 19900 citizens from former Soviet Union republics and other foreign countries to court in 2000 for infringement of rules regarding residence of foreign people, as well as rules of transit through the territory of the Russian Federation. They have expelled 145 people from the country . At the same time, refugees and forced migrants are provided with all possible support. From 19961997, the oblast administration managed to obtain 42.6 billion non-allocated rubles from the federal budget to receive and help migrants. Children from broken families and poor families were given psychological support, recreation and preventive therapy, school articles, clothing and footwear . The FBGS in NSO is successful in suppressing military and industrial espionage in the oblasts territory. According to the federal safety service, foreign intelligence services are interested in aircraft construction, aerospace technologies, and cartographic documents. In the spring of 1999, a delegation member from a reliable US company tried to collect information about an apparatus for physical analyses of DNA, but was informed that such actions were unacceptable. Nine foreigners with diplomatic status were identified as professional intelligence officers in 1999; 23 of these turned out to be involved in special services. Russian people also collect secret information. In 1997 and 1998, two Russian citizens (researchers of the Thermal Physics Institution of the Siberian Branch of the Russian Academy of Sciences, doctors of science who were doing research for the Squall missile-torpedo program for the RF Navy) contacted US scientific and commercial structures and used fragments of secret reports in their projects. These people passed on a portion of this information to the alleged US intelligence officer Edmond Pope, who was recently detained, condemned and then pardoned. The above-mentioned researchers had to explain their illegal contacts in detail later. The state security services of the oblast take part in the suppression of traffic of arms, drugs, antiterrorist operations, and the struggle against serious economic crimes. Recently they have eliminated a cartel involved in the theft and fencing of natural diamonds from one of the mines in the Republic of Saha (Yakutia), dismantled two groups treating and selling gems illegally, and confiscated emeralds weighing more than 1000 carats altogether, was well as 20 carats of raw diamonds. In the summer of 2000, FBGS officers in NSO arrested international smugglers who brought 41 grams of radium-226 to Novosibirsk . This study shows that the major source of regional internationalization and the sporadically occurring regional separatism in NSO is the lack of finance from Moscow and in addition, the increase of funds transferred to the capital. In other words, from the provinces point of view, the question is one of fair (or unfair) distribution of income and expenditure between the center and the periphery. If we assume that the NSO situation is similar to the situation in most of the other RF subjects (evidently, the Novosibirsk situation is typical and general), the further development of events will mainly depend on the ability of the federal government to find a reasonable balance in the budgetary-financial relations with the Russian regions. In passing, it is worth mentioning that it will be very difficult to find such a balance (if it is possible at all) due to processes of privatization of social wealth and the impoverishment of government resources that began during the economic reforms of the 1990s. From economic and financial points of view, the share of earnings obtained from international business activities is relatively small and cannot compensate the oblast for its current expenses. From the sociopolitical point of view, however, the international and inter-regional contacts of NSO are of great importance. By encouraging the regions attractiveness to foreign partners, creating new workplaces, and fostering intense scientific, technical and cultural cooperation, the regions administration provides a basis for the consecutive growth of the oblasts potential, increasing its political weight among other RF subjects as well as its considerable economic independence from the center. Press-relizy Novosibirskoi Oblastnoi Administratsii, Arkhiv 17.02.1999 (http://www2.adm.nso.ru/cgi-bin/vest.pl?archive&about=2) referred to in the following as PRNOA/A; Pasport Novosibirskoi oblasti: strukturoobrazuyushchiye pokazateli (http://www.nso.ru/pasport/) ). Vechernii Novosibirsk , 21.12.2000 (http://www.vn.ru). Novosibirskii oblastnoi komitet po statistike: Ekonomitcheskiie pokazateli v sravnenii s drugimi regionami (http://nut.adm.nso.ru/comstat/reg.html) ; Uroven zhizni naseleniia Novosibirskoi Oblasti. Statistitcheskii sbornik za 19951999 gg. Novosibirsk 2000, p. 12, 14, 74. Upon request of the newspaper Vecherniaia Moskva , the Economic News Agency studied the rating of influence of Russian political leaders and public figures on the capitals economy. The Head of the NSO administration, V. P. Mukha, came 46th in the rating. It is noteworthy that among other regional leaders only three people were ahead of him as regards their influence on the economy of the capitalnamely Moscow Mayor Yu. M. Luzhkov, and the heads of the Moscow and Leningrad Oblast administrations: PRNOA/A, 29.09.1998. PRNOA/A, 17.06.1998, 30.06.1998, 14.07.1998, 23.12.1998, 14.01.1999, 26.01.1999, 28.01.1999, 02.07.1999, 15.10.1999, 09.11.1999 and 29.11.1999. Novosibirskii oblastnoi Sovet deputatov. Zakon O mezhdunarodnykh, vneshneekonomicheskikh i mezhregionalnykh sviaziakh Novosibirskoi oblasti (http://sovet.nso.ru/INFOTDEL/Low/234125.htm). PRNOA/A, 23.09.1998, 24.05.1999, 25.04.2000 and 11.05.2000. Direct investments are funds invested by legal entities and individuals which completely possess the company or control not less than 10% of the company shares; this gives them the right to participate in company control. PRNOA/A, 20.05.1999; Vechernii Novosibirsk , 05.09.2000, 16.11.2000 and 19.01.2001; Pasport Novosibirskoy oblasti (http://www.nso.ru/passport/1_2.htm ); Novosibirskii oblastnoi komitet po statistike (http://nut.adm.nso.ru/comstat/press23.html; http://nut.adm.nso.ru/comstat/press22.html; http://nut.adm.nso.ru/comstat/reg8.html). PRNOA/A, 20.08.1998, 22.02.1999, 08.07.1999, 22.06.2000 and 17/07/2000. PRNOA/A, 26.10.1998, 18.03.1999, 28.10.1999, 06.03.2000 and 13.06.2000; Vechernii Novosibirsk , 24.11.2000; Novosibirskaia Oblast: Itogi i perspektivy (19962001 gg.) . Novosibirsk, 1998, p. 58; Promyshlennost Novosibirskoi Oblasti: Statistitcheskii sbornik 1999 g. Novosibirsk, 2000, p. 6, 25, 38. Novosibirskii oblastnoi Sovet deputatov: Deputaty (http://sovet.nso.ru/INFOTDEL/DEPUT/SP_d98.HTM). In due time, Mukha successively was the general director of the Sibelektroterm and Sibselmash production associations. Novosibirskaia Oblast: Itogi i perspektivy (19962001 gg.). Novosibirsk 1998, p. 42. Vechernii Novosibirsk, 13.10.2000 and 20.12.2000. PRNOA/A, 10.02.1999, 23.09.1999 and 17.12.1999. PRNOA/A, 23.03.1999, 24.03.1999 and 23.11.2000; Vechernii Novosibirsk , 28.11.2000. PRNOA/A, 20.05.1999, 22.06.2000 and 26.07.2000; Vechernii Novosibirsk , 07.12.2000. Novosibirskaia Oblast: Itogi i perspektivy (19962001 gg.). Novosibirsk 1998, p. 59. PRNOA/A, 13.10.2000; Vechernii Novosibirsk , 06.09.2000. PRNOA/A, 31.07.1998, 26.08.1999, 21.06.2000 and 26.06.2000. PRNOA/A, 19.02.1999, 28.06.1999, 02.07.1999 and 28.03.2000; Novosibirskaia Oblast: Itogi i perspektivy (19962001 gg.) . Novosibirsk 1998, p. 29; Vechernii Novosibirsk, 31.01.2001. PRNOA/A, 22.06.1999; Vechernii Novosibirsk , 18.10.2000. PRNOA/A, 29.03.1999, 13.04.1999, 05.08.1999, 25.08.1999 and 15.10.1999; Vechernii Novosibirsk , 15.08.2000. PRNOA/A, 26.06.1998, 19.05.1999, 15.06.2000, 17.10.2000, 18.10.2000 and 19.10.2000. PRNOA/A, 29.09.1999, 03.12.1999 and 16.06.2000. PRNOA/A, 12.02.1999, 07.04.1999 and 02.12.1999. PRNOA/A, 04.12.1998, 16.03.1999, 21.04.1999, 29.04.1999, 27.05.1999, 25.10.1999 and 16.08.2000. PRNOA/A, 24.12.1998. Uroven zhizni naseleniia Novosibirskoi Oblasti. Ststistitcheskii sbornik za 19951999 gg. Novosibirsk 2000, p. 73. Novosibirskaia Oblast: Itogi i perspektivy (19962001 gg.). Novosibirsk, 1998, s. 69; Uroven zhizni naseleniia Novosibirskoi Oblasti. Ststistitcheskii sbornik za 19951999 gg. Novosibirsk 2000, p. 64; Vechernii Novosibirsk , 13.12.2000. PRNOA/A, 11.08.2000; Vechernii Novosibirsk , 22.01.2001. Novosibirskaia Oblast: Itogi i perspektivy (19962001 gg.). Novosibirsk, 1998, p. 6970. Vechernii Novosibirsk , 20.12.2000 and 30.12.2000. Vechernii Novosibirsk , 06.09.2000 and 25.12.2000.